E-commerce is the new trend as it saves valuable time. Everything has become Internet based. A part of the entire human population on Earth cannot think of a day without the internet. After the invention of the World Wide Web, marketing strategies have changed immensely. As they say ‘change is for good’, the shift from the conventional way of marketing has led to better return of investment. 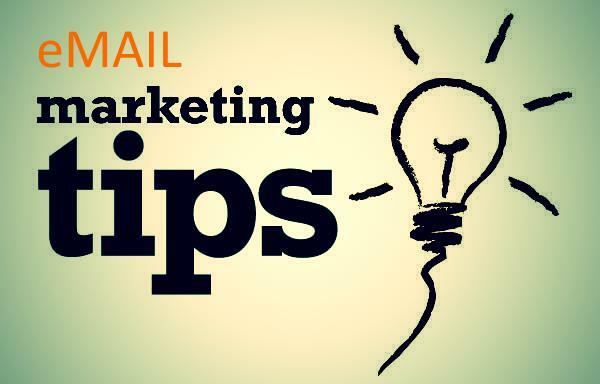 Email marketing can be best described as a way of marketing or commercializing a product (apparels, electronics etc.) via emails. An effective way to reach millions on the web in no time and that is how the concept of email marketing emerged. Just a few clicks and you are ready to rock n roll. Many companies are making money by adopting this strategy as main marketing way, because it has very less investment. Yes, email marketing is lucrative provided you do not hit the wrong track. Email marketing is a series of sequential steps. So the very first thing is avoiding the spam filter. A spam filter has many algorithms working behind it so you cannot send anything to your customer and expect them to see your email. Anything unwanted and you are blacklisted, and that is the end of it. A proper promotional strategy is all you need to avoid these unnecessary troubles. Choose an apt and descriptive subject, not something like ‘Hurry, 100% sale!! !’ Remember that you can promote your business to a certain extent; sending false information will not do you any good. Avoid attachments and colourful fonts if possible. Keep your mails short and descriptive. Keep in mind that you are promoting your business and not writing novels. You cannot hope to draw in customers sending stories about the products or your company. Your mail will go simply unread. A few lines on the product and a link to the webpage, nothing more. You will save your time and so will the reader. And obviously more response. Fancy images, big banners are a big no. You send these to your customer and simply the mail is in trash. These images take a lot of time (comparatively) to load so you cannot expect your customer to be attracted to such things. Though they look beautiful, these banners and covers are pretty useless. The links in your email must lead to a valid and related website. The links should not redirect the user to some other website. You will lose your valuable customers then. So give it a check. Testing your emails can be a good thing. You can send your emails to another id to check if there is some issue. And if there is some issue you can easily fix it. Low investment, high returns and all your marketing problems are solved with email marketing so all you need to do is to follow the few steps and earn money, simple as that. Harshit Mehrotra, a PPC & SMO Expert writes articles on social media marketing and pay per click guide. He loves to share tips on pay per click. He writes on his blog www.searchenginemag.com. Connect with Harshit : Facebook & Twitter. very nice article on email marketing tips. I have started following your blog from a small time and I see great articles. I have read your blog from the very beginning of your posts and they are awesome. I think a good site like this should provide a starting point for new visitors so that they know where to start reading your blog or else like me they have to load previous posts like I did till they reach the starting point. Though It took me five hours something to read this blog the try was worth it. Nice Email Marketing tips, i think now i am able to promote my products via email marketing after reading your helping post. You are doing really Great job.keep posting i am waiting for your new posts.